The best feature on the Samsung Galaxy Tab A has to be the S-Pen. If you’ve never used the S-Pen before, here’s a general “How To” guide to get you started. Locate the S-Pen on the bottom right corner of the device. Push it in to eject the S-Pen. You can also access the S-Pen options any time by selecting the pen icon on the right side of the screen. Select “Create note” if you want to take notes of any type or draw an image. Select an option along the top as desired. Text – Type a regular text note using the on-screen keyboard. 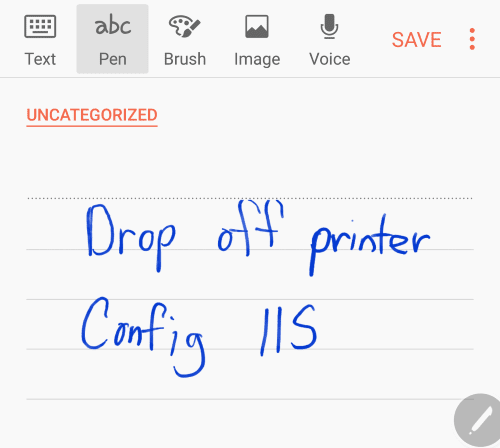 Pen – Write a note using the S-Pen. Brush – Draw an image with different colors using the S-Pen. 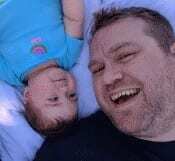 Image – Insert an image into your note from the Gallery or Camera. Voice – Record a voice memo. Use “Smart select” to take a screenshot by selecting an area of the screen with the S-Pen. You can also make an animated GIF by selecting “Animation” and selecting an area of the screen that is playing a video. The “Screen write” option does just what it says. You can write on the existing screen. For example, you can bring up a web page in the browser, select the pen icon, choose “Screen write” and write on the web page. 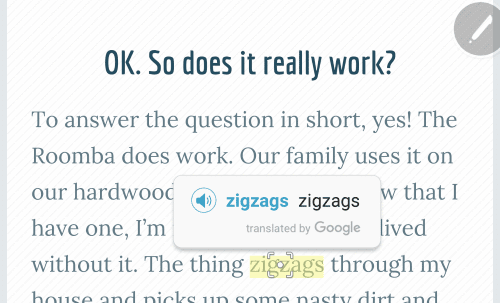 The “Translate” option allows you to hover over a word with the S-Pen so that you may translate it to another language. What does the button on the S-Pen do? If you hold it down, you can erase what you’ve written on the screen.